Collections by Weiser offers five handlesets to choose from. These handlesets offer solid forged brass construction and Grade 1 cylinders for uncompromised security. The GCD9471 deadbolt is both tough and attractive. This single cylinder deadbolt can be locked or unlocked by a key on the outside, or the turn button on the inside. The complementary Antique Brass finish offers a warm feel with deep accents in the contours of the product. 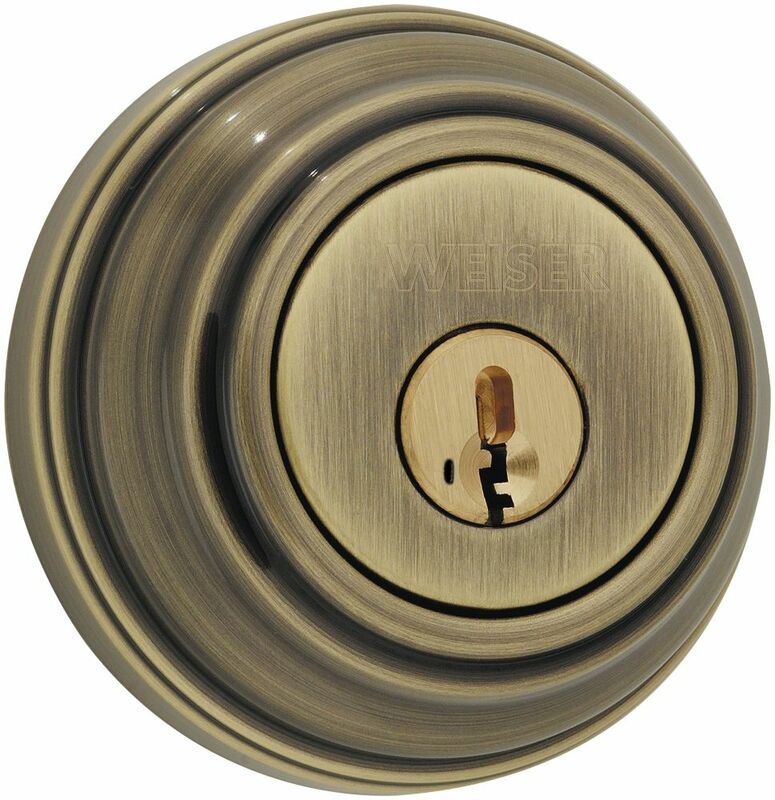 9471 Antique Brass Single Cylinder Deadbolt Collections by Weiser offers five handlesets to choose from. These handlesets offer solid forged brass construction and Grade 1 cylinders for uncompromised security. The GCD9471 deadbolt is both tough and attractive. This single cylinder deadbolt can be locked or unlocked by a key on the outside, or the turn button on the inside. The complementary Antique Brass finish offers a warm feel with deep accents in the contours of the product.